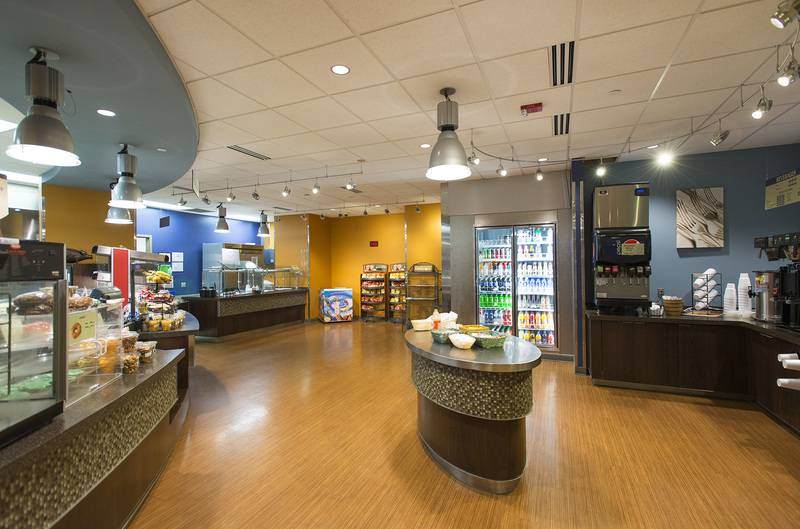 Kellogg Community College’s Bruin Bistro is making some changes to reflect what students and staff members want out of their on-campus place to eat, whether it’s lunch while studying or grabbing something quick on the way to class. The Bistro, located in the Student Center on campus at 450 North Ave., Battle Creek, offers a wide variety of options, but those are still being expanded and improved on this year. The KCC Institutional Facilities Department asked more than 300 students their opinions about the Bruin Bistro experience. That follows an earlier survey conducted with College employees. The Bistro added evening hours during the spring semester and was open from 8 a.m. to 8 p.m. Mondays through Thursdays and 8 a.m. to 1 p.m. Fridays. Previously, the Bistro closed at 3 p.m. Mondays through Thursdays. Fall semester hours have not been set yet, and students are interested in expanded hours. For June and July, the Bistro is open from 8 a.m. to 3 p.m. Mondays through Thursdays and closed Fridays. Harding said students wanted some less expensive options for smaller amounts of food. Now there are $1 slices of pizza and a half-size buffet serving for $3. There’s also a $3 option of chicken strips, fries and a small soda. The $4 meal includes a hamburger, fries a cookie and a small soda. Students looking for a quick snack can grab an 8-ounce cup with a selection of different foods for just $1. “We’re selling roughly 200 of those per week,” Harding said. Another change that’s already been rolled out is the mobile food cart that brings the Bistro to students. It began in the spring, is taking the summer off and will return in the fall. It visits every floor of every building on the College’s North Avenue campus, selling sandwiches, chips, bottled water, salads and more. The cart will be active from 9 a.m. to 2 p.m.
Harding said the survey has resulted in increased foot traffic and sales at the Bruin Bistro. “We’re just really grateful for the increase we’ve seen,” Harding said. More information about the Bruin Bistro and other KCC food options can be found at www.kellogg.edu/bruin-bistro.